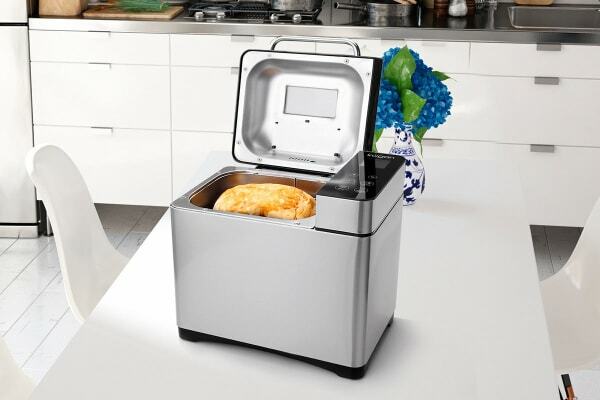 Making your own delicious and healthy bread is easier than ever with this Premium Stainless Steel Bread Maker. Enjoy waking up to freshly baked bread every morning with the Kogan 2.0L Premium Stainless Steel Bread Maker. With 19 automatic programs to select from, you’ll be spoilt for choice and might take a bit of time deciding between natural sourdough, French bread, soft bread, multigrain, or even cakes, jams, yoghurts and more! But once you’ve decided on that, simply add the ingredients, select your desired program, your crust shade and loaf size, press Start and you’re done! Your choice of bread will be ready without any fuss as everything from kneading to fermenting and baking your bread is done completely by the Bread Maker to perfection. Its convenient timer lets you set the Bread Maker to begin baking up to 15 hours later, so you can just set and forget and your bread will be ready to you at your pre-calculated time. So, to enjoy fresh bread first thing in the morning, you could just add the ingredients and set the timer to start baking before you wake up. 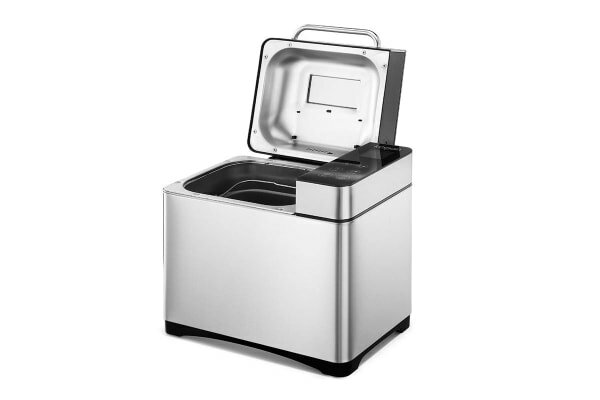 Conveniently, the Bread Maker features a Keep Warm function that keeps your bread warm up to 60 minutes so that you can enjoy fresh warm bread even if you wake up late! 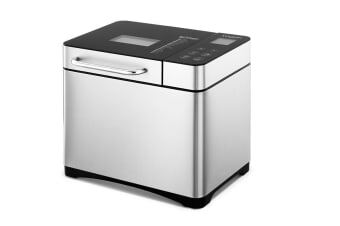 This Premium Bread Maker boasts of gorgeous looks with a stainless steel body and a stylish design that adds class to your kitchen. Its clear LCD display let you program your settings with ease while the large viewing window and lights let you check the progress of your bread whenever you wish. Cleaning up is super easy! appliance makes the cleaning up process easier than ever – so, go ahead and bake away without the cloud of cleaning up hanging over your head! Looks good. Operates easily. Makes nice bread. Fantastic, neat and easy to use. And at an affordable price, Makes a Perfect loaf, made for a great Christmas present. And arrived in a short time. Looks so smart, works so well.